Pete is a trial lawyer who has represented clients in litigation matters in many jurisdictions across the United States. Pete has represented clients in a wide variety of contexts, including class actions, False Claims Act lawsuits, strict product liability claims, intellectual property infringement matters, securities matters, shareholder disputes, real estate development and construction disputes, false advertising and unfair competition cases, breach of contract cases, commercial mortgage foreclosures and insurance coverage matters. 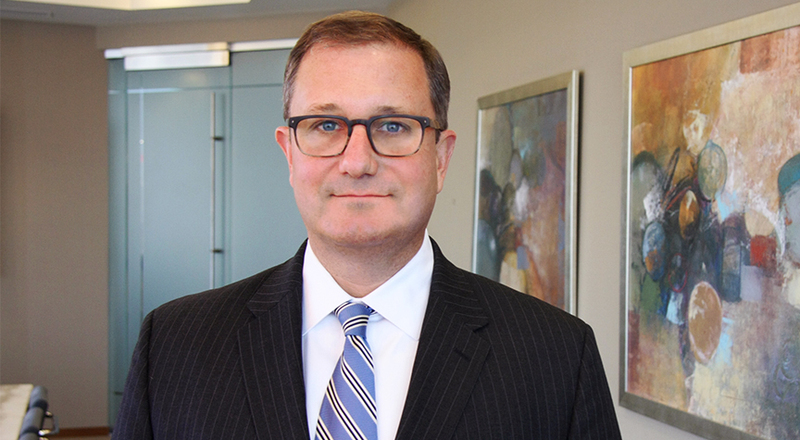 Pete advises entrepreneurs, manufacturers, financial institutions, insurance companies, software development and technology companies, large commercial real estate developers, construction contractors and many other businesses in a wide variety of complex litigation matters. Pete is certified in legal project management and uses that knowledge to develop litigation strategies and legal fee estimates designed to achieve client goals and needs. In 2018, Pete represented a Hong Kong consulting firm who was sued in Indiana and obtained a $1.9 Million jury verdict in favor of the client on a counterclaim. Pete also works as temporary “outside general counsel” for larger corporate clients who have a wide variety of legal needs to ensure the work is properly allocated and completed in the best interests of the client. New Sunshine, LLC et al. v. Westbridge, Ltd. (Marion Sup. Ct. 2018) obtained a $1.9 million jury verdict for a Hong Kong consulting firm on a counterclaim asserting claims for breach of contract and promissory estoppel. Broussard v. El Paso E & P Co., LP (S.D. Tex. 2014) obtained summary judgment in favor of manufacturer on all claims where Plaintiff sought $10 million in alleged damages. Babybacks International v. The Coca-Cola Company (Marion Sup. Ct. 2007) obtained jury verdict in favor of client in case where opposition sought $37 million. C&P Coal v. ConSol Energy (C. D. Utah 2007) obtained a confidential settlement for buyer of coal mine in breach of contract action. Decatur County Comm'rs v. CIND (US Surf. Trans. Bd 1999) restored rail service to businesses between Indianapolis and Cincinnati. Douglas Realty Advisors, Inc. v. Osco et al. (Marion Superior Ct. 2005) obtained partial summary judgment and confidential settlement after defendant spoliated evidence. American Energy Services v. Elam (S. D. Ind. 2000) obtained a $2.1 million jury verdict for a California business for misappropriation of trade secrets and intellectual property. FGHI et. al. v. Hofmeister (Marion Sup. Ct. 2008) obtained $12 million judgment in favor of client. Fiberlink v. Taishan Fiberglass, Inc. (Marion Sup. Ct. 2003) obtained a confidential settlement after seizing computers and making mirror image copies in a shareholder dispute. Hercules Machinery v. Unisto Oy (N.D. Ind. 2006) obtained confidential settlement for Finnish owner of patent and trademarks of construction device. InteleCom, Inc. v. Mongello et al. (S. D. Ind. 2008) obtained injunction requiring the return of 1.5 million shares of company stock. J&G Investments v. Fineline Holdings (N.D. Ohio 2008) Obtained partial summary judgment establishing liability in favor of investor for wrongful issuance of stop transfer order. Klipsh v. Prabakor (S. D. Ind. 2007) obtained settlement of trademark infringement claims on behalf of California businesses. Living Word Missions, Inc. v. Alanar (Sullivan Cir. Ct. 2005) obtained a class action settlement for three securities businesses and their officers and directors in a securities class action. Mazza v. Smith et al. (Marion Superior Court 1993) obtained punitive damages award for client in tort action. Pizza Express v. Pizza Head (S. D. Ind. 2007) obtained a partial summary judgment on behalf of a franchisee finding license agreement in violation of franchise laws, which lead to successful entry of confidential settlement agreement. Trench Shoring Services of Fl. v. Unisto Oy (C. Dist. Fl. 2007) obtained a confidential settlement for Finnish owner of patent and trademarks of construction device. US Midways et al. v. Balcor et al (Marion Sup. Ct. 2004) obtained a class action settlement for tenants of Union Station in action alleging misuse of tenant monies and mismanagement. Virginia Brougher et al. v. Firstmark et al. (RICO Class action involving the sale of debenture bonds) -- claim for more than $100 million. Client entered into favorable settlement for an undisclosed and confidential amount. "Questionable Strategy – Guns and the Uniform Trade Practices Act," The Voice, April 2019, Volume 18, Issue 15.